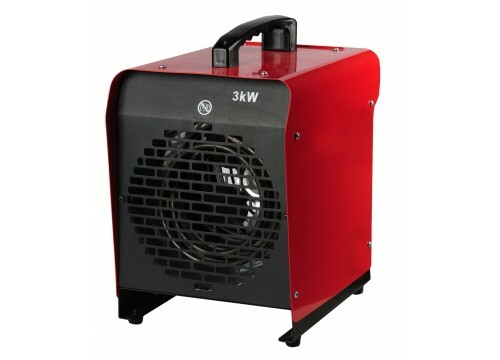 The GIS03-R is a very efficient electric fan heater. Ideal for any application that requires heating. It has a red stainless steel body and is very robust. It incorporates a thermostat and self-resetting thermostat. Temperature in the room may be set by the control knob. Once the pre-set temperature is reached, the thermostat will automatically switch the heating elements off while the fan will continue to operate, thus protecting the unit from overheating, to ensure safety.